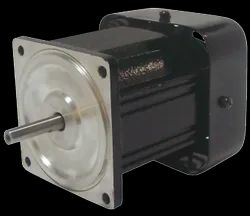 Our range of products include pmdc motors and ac motors. We possess various resources that assist us in manufacturing PMDC Motor / Gearbox as per the industry standards. These boxes are used in various electronic appliances and instruments. Our PMDC motors are offered with various accessories including gearboxes, integral DC tacho, brake and encoders. These light-weight & compact motors offer efficient operation, over a longer time frame. Moreover, its sophisticated design ensures minimum noise pollution. Our customers can avail Ac motor / gearbox from us in various configurations, as per their specifications as well as in industry standards. Our AC motors are used in various industries where high torque is necessary with smaller HP. Their ease of operation and utmost efficiency is ensured by the versatile designs. 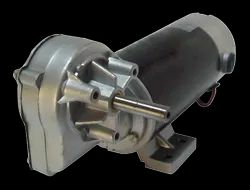 Our AC motors are offered with gearbox - worm (right angle) or helicle, planetory (inline) Indian & imported gear head. Gear Box - Worm (right angle) or helicle, planetory (inline) Indian & Imported gear head are available.